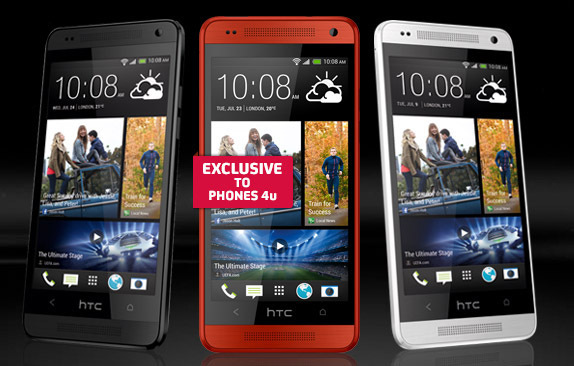 Phones 4U has reached an official deal with HTC to be the first retailer to offer the Glamour Red version of the HTC One Mini. The cost hasn’t been unveiled, but we guess it would be the same as the one of the regular One Mini. HTC One Mini the red model comes with a 4.3 inch 720p display, a Qualcomm Snapdragon 400 dual core 1.4 GHz CPU and 1 GB of RAM. BoomSound stereo speakers are also here, as well as the Zoe feature and the BlinkFeed social networking feature. We’ve got the Ultrapixel cam at the back and if you imagine you’re missing solid features from HTC One, guess again since they’re not missing. Android 4.2.2 Jelly Bean is on board, with HTC Sense UI on top. Frankly speaking, I’m a big fan of the blue version of the HTC One and I wonder if the One Mini is also available in this color version. If it is forget the red unit and go with that one.